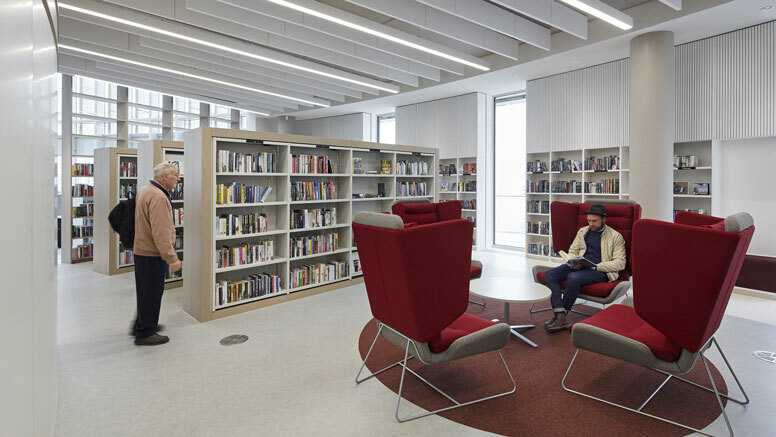 The design brief for the project asked: What should a library for the 21st century look like, and what should it offer to the public? The challenge from South Tyneside Council was: ‘Make the internal activities inspiring. Why would I want to come back? Why would my daughter want to come back? Why would my mother want to come back?’, they asked. Given the relationship between the real and the virtual world in which we currently live, these were incredibly interesting and relevant challenges. We felt that a true paradigm shift in the building typology was possible. 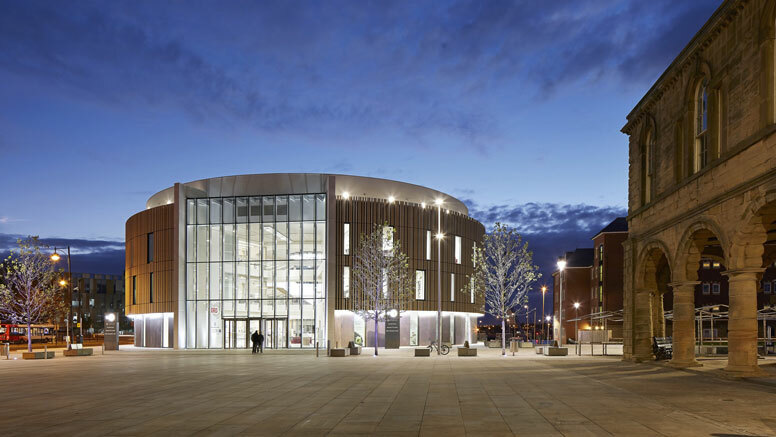 The Word, and refurbishment of the adjacent historic Market Square, is the first phase of South Tyneside Council’s and development partner, Muse Developments, ambitious £100m South Shields 365 regeneration project. 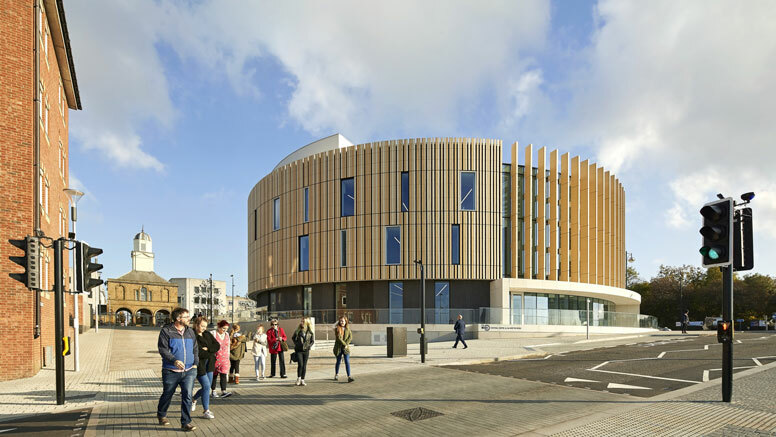 The 365 vision aims to reconnect the seafront, Foreshore, town centre and Riverside areas of the town, encouraging visitors to spend time in the town centre with a mix of new leisure, retail and community facilities. The form of the building is representative of its contribution to society: it is democratic, a community gathering space of equal parts. 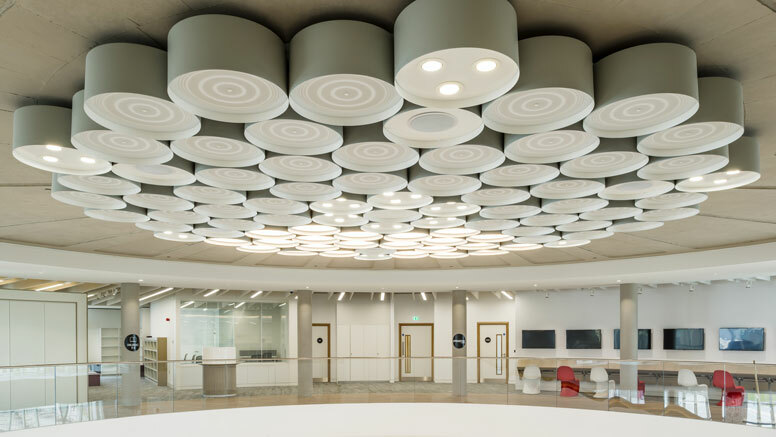 The purity and strength of a circular building emerged from all of the influences and requirements set out by the urban grain, and the social and community ambitions. The building concept adopts a simple circular form to reinforce the pedestrian link and views between the Riverside Park and Market Square. 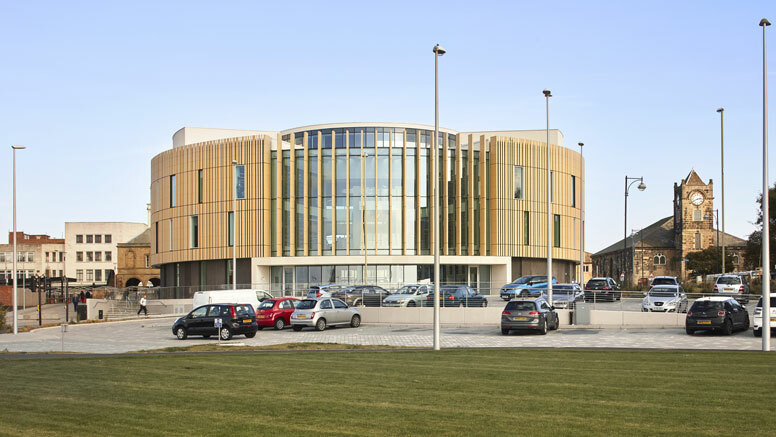 The building’s appearance is inspired by the fanning out of the pages of a book, with the introduction of two large glass walls providing superb views of the River Tyne and creating a natural place for the building’s entrance. 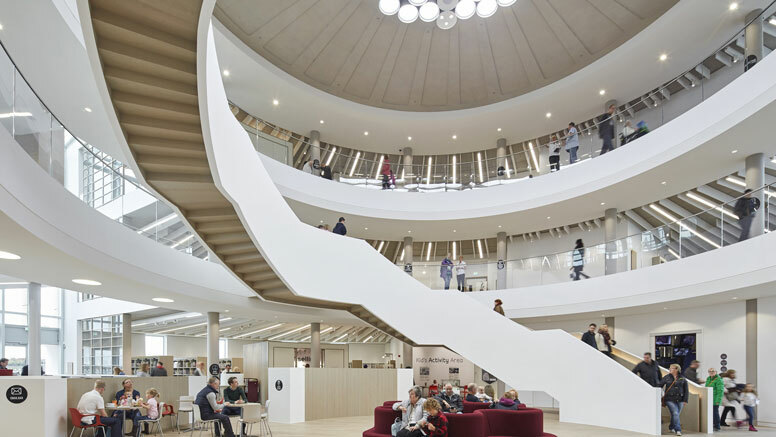 Internally, a large central atrium gives visual clarity to the scheme, allowing a grand gesture of civic quality to link all of the internal activities. The Word’s design is truly transformative in every sense. 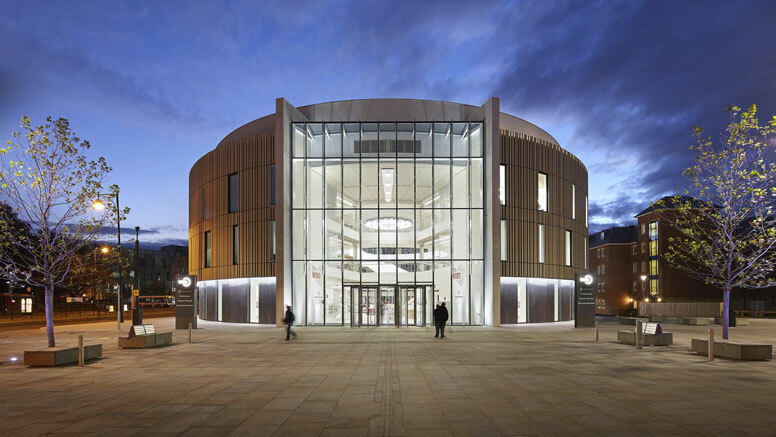 It not only helps to transform the character of the site and context, but also helps to transform a visitor’s perception of what a library can be and how it can form part of a larger cultural venue of regional and national significance. 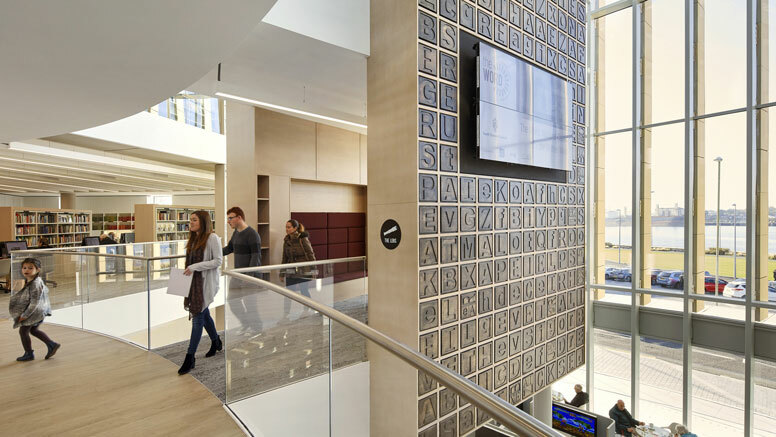 The entrance to The Word opens up into a triple height atrium with a sculptural staircase which wraps around the atrium and connects each floor level creating an obvious circulation strategy. There is a large exhibition space and display pod hosting a rolling programme of exhibitions. This floor also features the café, adult fiction books, retail area, gaming zone and email bar. The first floor accommodation includes the ‘Charles Dickens Room’ and ‘Catherine Cookson Room’. These rooms are used for community workshops, corporate business use and local interest talks and exhibitions. This level offers a number of interactive, hands-on experiences for everyone to enjoy. 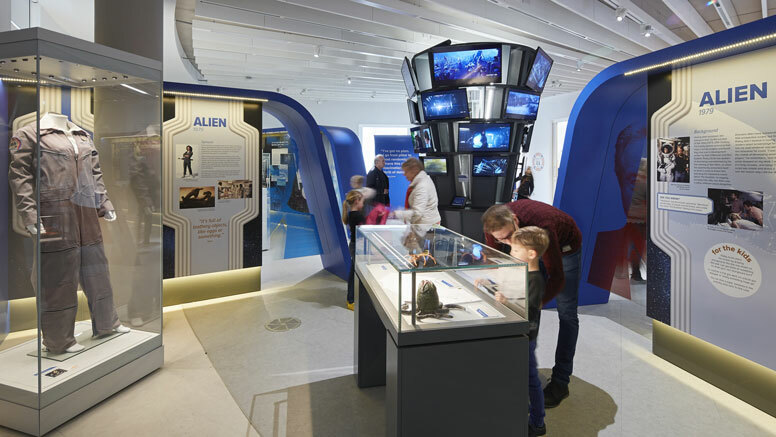 ‘StoryWorld’ provides visitors with an immersive storytelling experience, with sound and visual projections capturing imaginations. ‘FabLab’ is a creative space for children, young people and adults to hone their creative interests with access to 3D printers and vinyl and laser cutters as part of a programme of workshops. A digital media wall boasts a number of drawing and colouring activities, from designing a comic, to illustrating a story book. Download the architect's full descriptive and illustrated brochure. We are an architectural practice with over fifty years of experience in creating buildings where people do better. 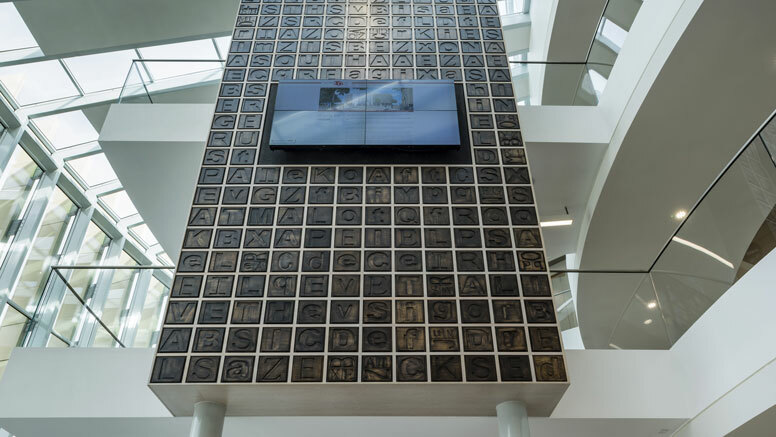 We use this experience to question traditional typologies, challenging what a particular building might look like, how it might be used, and the ways it can impact society.